For any medical profession, it is of utmost importance to find a medical equipment brand that is trustworthy and delivers products, which are a custom fit for their professional requirements. Doctors and nurses work endless hours and have a huge responsibility to maintain the well-being of their patients. For this reason, they need to have supplies of top-notch quality. Out there are numerous brands offering a range of medical supplies, like stethoscopes, lab equipment, syringes, scrubs, and more. 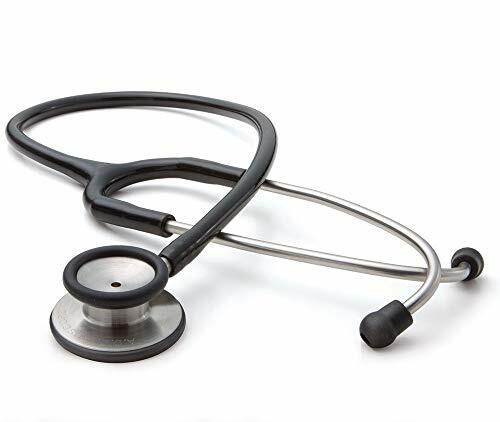 In this post, we will discuss what are the best stethoscope brands? It is because, among numerous medical supplies, a stethoscope demands fine-detailing and precision engineering processes. While there are numerous stethoscope manufacturers worldwide, but only a handful of them offer supplies that have an unmatched quality and features. The high product quality, innovative product features, and precision at par make these brands surpass other manufacturers in the market. So, if you will soon make the next stethoscope purchase and want it to be the best, then reading this post will be really helpful! Now let’s review these stethoscope brands in more detail. 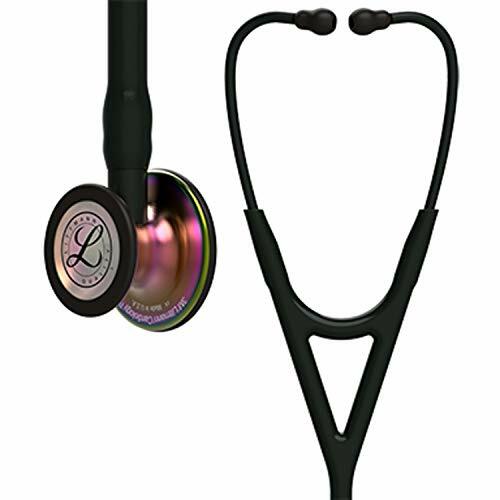 Littmann is considered one of the iconic stethoscope brands in the medical industry. The brand was established by Dr. David Littmann in 1960s. 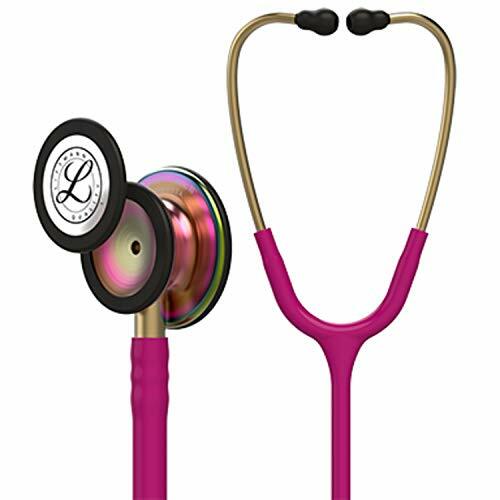 The very first creation from Dr. David Littmann set gold standards and got popular for its incomparable performance among other modern stethoscopes. Soon, Littmann joined hands with his partner to form a marketing and promotional company for their medical supplies, known as Cardiosonics Inc. However, it was soon purchased by 3M that still manufactures and sells stethoscopes of elite quality under the same brand. 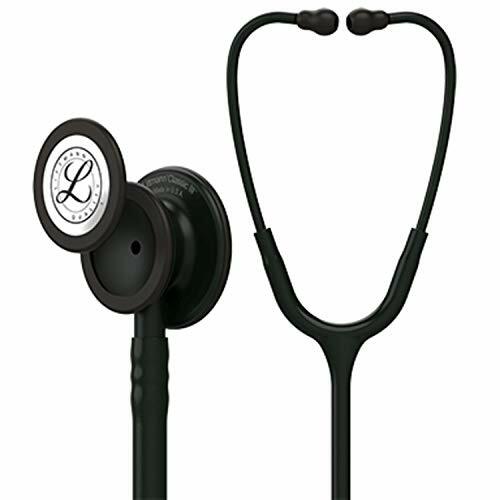 Stethoscopes from Littmann are known for their exceptional performance, innovative design, and superior acoustics. Most of its models contain advanced features like tunable diaphragms, non chill rim, Bluetooth connectivity, and excellent ambient noise reduction. Besides stethoscopes, Littmann is also renowned for other medical supplies of brilliant quality. 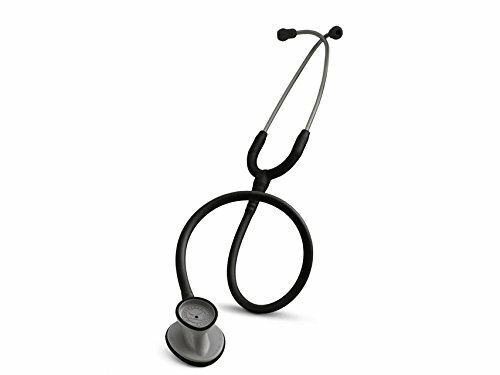 One major benefit that you can avail purchasing Littmann’s stethoscopes is strong backend support for the consumer device. With reliable customer support and honorable warranty policy, you can enjoy ultimate peace of mind. With its full name as American Diagnostic Corporation, this is another leading stethoscope brand famous globally. Based in the United States, this brand was inaugurated in 1984. Originally, it instigated by being a small EMS supply company. But over the years it expanded its scales of operations and has become a prominent medical equipment company. It launched its first stethoscope in 2012. 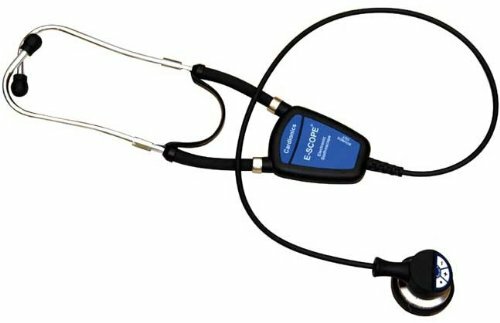 In 2012 it has introduced one of the most advanced stethoscopes in the world, AdscopeTM 606, featuring ultra-light cardiology mechanism. One excellent thing about American Diagnostic Corporation is that it holds a strong presence in the national as well as international market. Their products are manufactures all across the globe and are subject to easy availability. Even, there is a learning center provided on the company’s website. This is of great help to people who are new to using stethoscopes and want precision from the very first use. It is one of the most reliable stethoscopes brands known to offer stethoscopes and other medical products of superior quality. 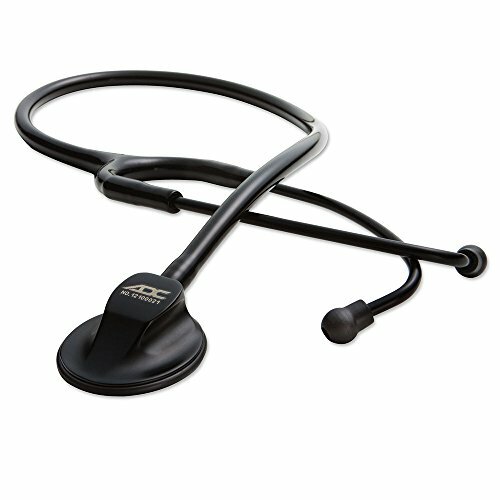 Buying stethoscopes from ADC will assure you excellent performance and lasting durability. High-performance cardiology headset features black anodized aluminum binaurals and Adsoft Plus silicone eartips for the ultimate in wearing comfort and acoustic seal. 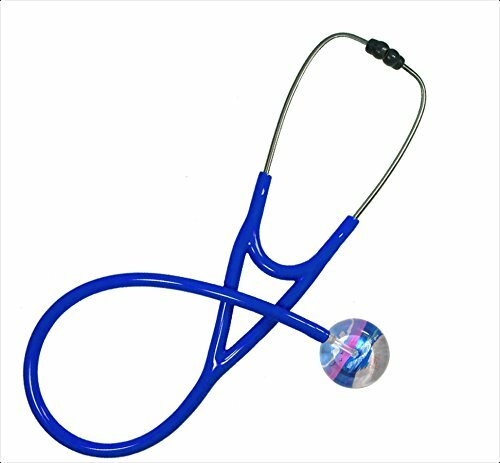 If you are looking out for a custom designed stethoscope, then there is no better brand than MDF. Stethoscopes and medical instruments from MDF are famous across the world. It is because this is a boutique stethoscopes manufacturer who is able to offer customers equipment best-fit to their needs. Even, their vibe of being a famous company to design stethoscopes in vogue is clearly showcased on its website. The company came into existence in 1971 and since then has continued to be a reliable and trusted brand among customers. Though it holds a massive international business, it is based in the United States. Just like other reputed brands, MDF also supplies an assortment of medical equipment. But it is mainly famous to offer the best stethoscopes in town. MDF is a customer-centric brand. It offers a lifetime warranty on its products along with free parts for lasting life. Buying stethoscope from MDF would relate you to a prestigious brand delivering excellent products amazing customer approach. 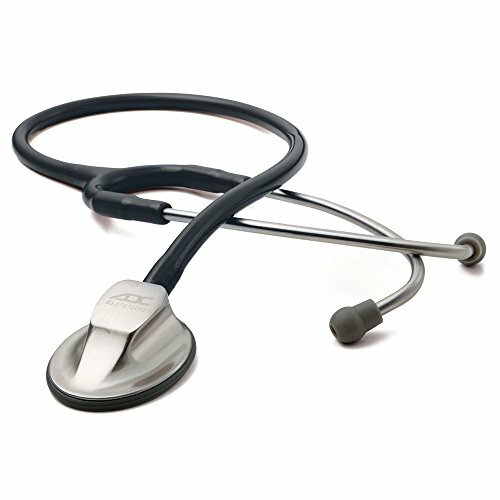 Omron is a popular stethoscope brand based in Tokyo, Japan and established in 1933 by Kazuma Tateishi. The company is already a renowned brand in the electronics industry and before the introduction of its medical equipment division, it was known as Omron Tateisi Electronics. The aim of the company is to offer the best solutions to specific medical practices and supply high-quality medical supplies at affordable prices. Besides the best quality stethoscopes, it offers a range of medical equipment like blood pressure monitors, thermometers, and nebulizers. Omron is famous to develop the world’s first ever electronic ticket gate that was named an IEEE Milestone. Also, it is one of the first companies to manufacture automated teller machines or ATMs with magnetic card stripe readers. The stethoscopes offered from Omron are high in quality and available with an affordable price range. Hence, you can purchase Omron’s stethoscopes if you are looking for a high-quality product within a budget. This is a German brand offering premium quality stethoscopes. The company is famous to offer stethoscopes with a lifetime replacement guarantee. Hence, every time you purchase from this brand, you will have a risk-free buying solution. Moreover, the company offers an excellent return and refund policy. Hence, if you are not satisfied with the product then you can always exchange it with ease. The stethoscopes from Vorfreude have been serving the customers over the years. These stethoscopes are lighter and very handy. They are engineered in German quality and hence hold an exceptional acoustic quality. Besides a stethoscope, you can even purchase a stethoscope kit. This is the brand is famous among medical students and nurses. With a lifetime guarantee and a comfortable fit, you even have the option to select among varieties of stethoscopes from this brand. Welch Allyn is a renowned brand to manufacturer and supply stethoscopes of brilliant quality. The company sells stethoscopes designed by a prestigious medical expert, Dr. Proctor Harvey. The stethoscopes from Welch Allyn are designed to offer superior sound conformity for precise diagnostic signals like ejection sounds, murmurs, and systolic clicks. Every model from this brand features a diaphragm and a bell as suggested by the American Heart Association along with an adjustable binaural. The components of a stethoscope are of extremely superior quality. In fact, it is a leading brand for offering rugged designs and lasting warranties. Every model from this brand is highly professional and hosts an aesthetically pleasing design. Some of the most famous models from Welch Allyn are a professional stethoscope, DLX Double Head, and Harvey professional pediatric stethoscope. Welch Allyn is an ideal choice for those who want a professional and durable stethoscope delivering excellent performance for long-lasting years. Serving the industry for 30 long years, Cardionics is another well-known stethoscope brand across the world. This brand is famous as an innovator in the industry. It supplies high-fidelity and quality stethoscopes of superior auscultation. Cardionics offer a comprehensive range of products designed specifically to meet the needs of instructors and medical students. For this reason, most of the Universities house stethoscopes and other medical equipment from this brand. Cardionics was established in 1969 by Dr. Abe Ravin. The first innovation of the company was a heart stimulator that supported students to learn to identify and diagnosing numerous sounds produced by different body organs. Every model from this brand is known to offer to diagnose of high – precision and excellent functionality. If you are a general physician, medical student, or a nurse, then the stethoscopes offered from Cardionics can be the best suit for your profession. Heine is one of the finest and long-lived stethoscope brands that was introduced in 1946. The company was discovered and established by Helmut A. Heine that brought unique insights to universities and physicians. The company is famous to develop innovative products in delivering excellent sensitivity and enhanced sound quality. Offering rich quality products, Heine partnered with numerous universities and physicians over years. Heine Optotechnik is a family owned and managed brand. It focuses on long-term client relationships and hence delivers products that hold outstanding functionality to the users. In fact, the company follows a stringent manufacturing process that ensures the product quality is maintained high always. If you are looking for a stethoscope that can serve your needs at the very beginning of your career then the one offered from Heine Optotechnik is the best. 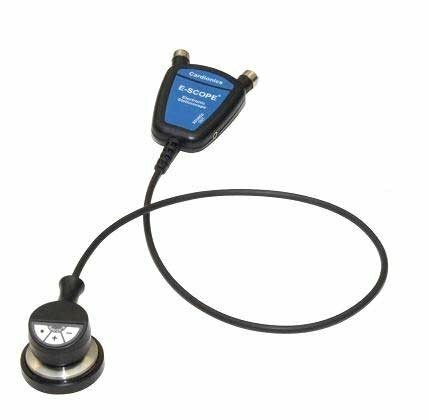 The stethoscopes from Ultrascope are a flagship of excellent cardiology acoustics and eminent style. The company offers a comprehensive range of hand-painted designs that are available to customers with a lifetime warranty. 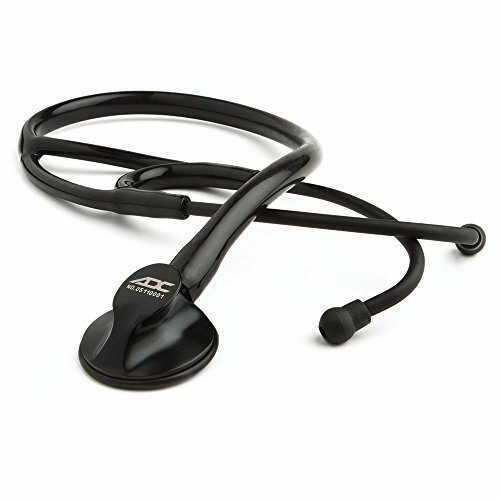 Most of the stethoscopes from Ultrascope are known for their distinguished appearance and unique acrylic construction. Besides a pretty face, these stethoscopes offer an isolated listening experience to get checked every beat and breath. Another reason for the increased popularity of stethoscopes from Ultrascope is their lightweight. They are very light on the ears and offer a comfortable fit. Also, you can get customized stethoscopes designed from Ultrascope. This company is solely dedicated to offering stethoscopes of varying types. If you are looking for a hand-painted, efficient, customized, and reliable product then stethoscopes from Ultrascope is the best choice. Working in the industry for more than 40 years, Prestige Medical is a leading manufacturer of professional medical accessories and diagnostic instruments. Prestige Medical revolutionized the process of pairing nursing accessories and diagnostic medical devices with medical uniforms across the globe. It specializes in delivering unique color choices, patented designs, and fashionable accessories to the customers. For this reason, the company regularly innovates and allows personalization of different types of medical equipment. Over the years, Prestige Medical has developed a strong reputation among students, doctors, nurses, and other healthcare experts worldwide. Besides having a relentless focus on stethoscopes, it is renowned to offer a range of high-quality products like digital blood pressure monitors, pulse oximeters, medical tools, nursing accessories, aneroid sphygmomanometers, and other accessories. As a result, Prestige Medical stands as a leader in producing a range of medical tools. 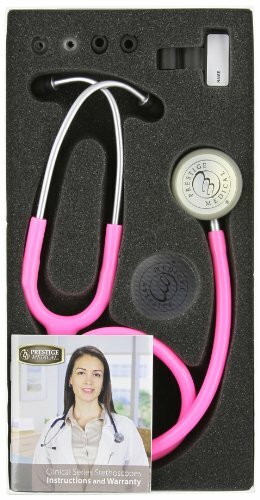 Buying a stethoscope from Prestige Medical would ensure you to have a product with superior quality, premium performance, and elegant appearance. The Clinical Lite comes with two sizes of eartips which seal out extraneous noise while providing superior comfort. An easy to use snap-on rim & diaphragm. When shopping for a stethoscope then there are a few aspects of the brand that you need to focus. Doing this will help you make a well-informed and wise decision that you will appreciate throughout. Also, it will help to eliminate other options that do not meet all your essential requirements. Hence, when reviewing various stethoscope brands, do consider these important points. A doctor will have more intensive needs from a stethoscope than a medical student. Similarly, a cardiac professional would need more high-quality stethoscope as compared to an ENT specialist. Different stethoscopes are designed to cater to the varying needs of medical professionals. All this depends on the type of patients and medical problems addressed by the medical expert. When seeking a brand or product option then it is important to think about every functionality and usability of your stethoscope. You may then select a stethoscope that is the best fit for your professional needs. While a student may want a stethoscope that can last throughout their educational journey, a doctor would want one that lasts for longer years. Durability and warranties might not be a big purchasing factor, but it is actually very important. These are key issues for extensive use and to ensure that you meet the best outcomes during your practice. For example, a doctor who regularly using the stethoscope puts in the pocket and repeat this action a couple of times a day would find wearing out of the tubing as compared to a clinic-based physician. Hence, based on your specialized medical profession, pick a stethoscope that is able to meet your entire needs. Well, this is another important thing to check for medical personnel in selecting a stethoscope for his medical practice. Are you related to critical roles? Are you a general medical practitioner? Are you a nursing assistant? While some medical professions would require hearing just general sounds, there are others who would want more precision and detail at work. For this reason, it is important to check the acoustic quality of the product line. This will help you identify which stethoscope offers a clear definition and which one is extremely sensitive. 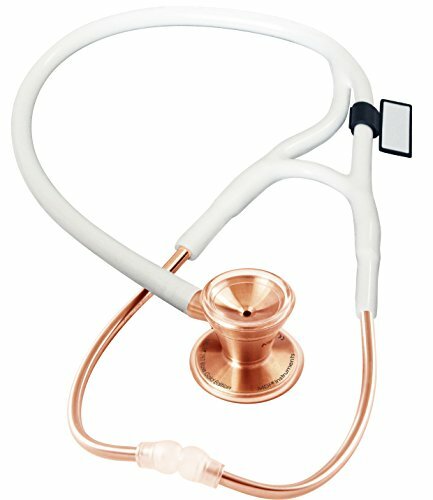 Every stethoscope brand defines its product with a unique pricing range. Pricing of the stethoscope is the true cost of additional instrument potentials. There is no point to spend on unwanted attributes. It is a complete waste of money. It is therefore essential to check the competitive price advantage of every brand according to how it performs. This is one of the key aspects to make a good buying decision. The reputation of a brand or its product line would give you a clear idea of what it offers and what you can expect from the device offered by it. If a brand is favored by most satisfied customers then it can be considered to purchase. Check for positive reviews from customers. Do compare brands for their ratings and reviews. This is one of the best ways to make a lucrative buying decision. A more detailed stethoscope buying guide is available here. 1. What are the best stethoscope brands for doctors? For doctors, selecting a high-quality stethoscope is an integral part of their daily work. Selecting a stethoscope that is lightweight, durable and offers exceptional sound quality can simplify the job and provide a precise diagnosis. 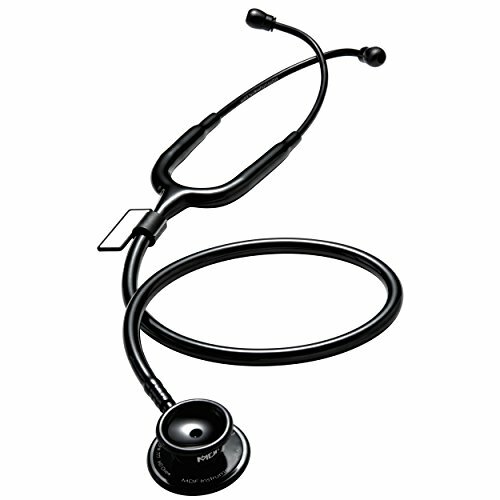 Littmann, Omron, American Diagnostic, and Welch Allyn brands offer top-rated and most popular stethoscope for doctors. So, if you want the more accurate diagnosis and want to hear the sound better then purchasing a high-quality stethoscope from these brands will meet your needs. 2. What are leading stethoscope brands for medical students? Being a student, the most important aspect is to gain maximum knowledge. Besides this budget and durability of the product is other major that influence the buying decision of the students. 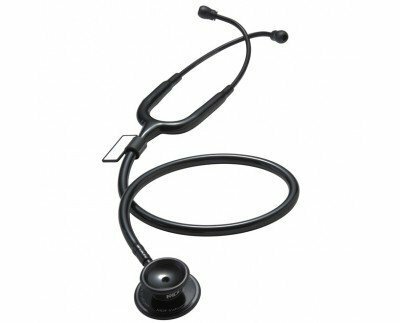 Read our complete guide on Best Stethoscopes for Medical Students. 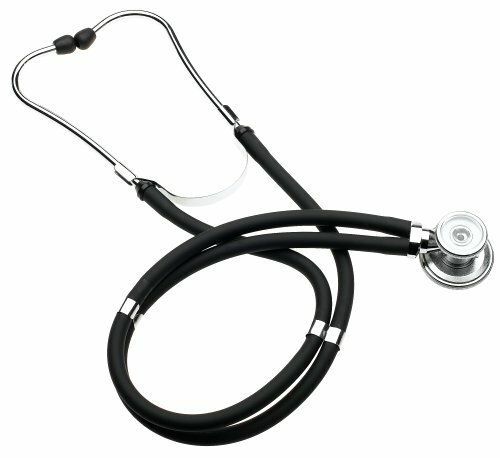 Medical students can consider purchasing a stethoscope from prestigious brands like Littmann, ADC, MDF, Dixie EMS, and Life-Line. 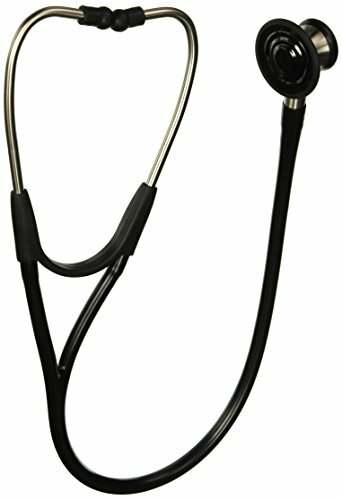 Stethoscopes from Littmann are highly expensive, so it is best to purchase stethoscopes from other reputed brands. 3. What are the top stethoscope brands for nurses? Nurses are mostly the first health experts contacting and diagnosing a patient. For this reason, it is essential for nurses to have good stethoscopes delivering precise diagnosing and investigations of a patient’s illness. Some of the best stethoscope brands for nurses are Littmann, Omron, ADC, MDF, and Vorfreude. These brands offer the most high-quality stethoscopes for nurses that can deliver brilliant performance and lasting durability. 4. What are the best electronic stethoscope brands? A stethoscope is an important tool for the physicians. Hence, it is of paramount importance to purchase a high-quality stethoscope that helps to listen clearly to the lung and cardiac sounds. Additionally, it is important to consider the price, brand, and sound quality at the same time. In such a situation, doctors can look out for best electronic stethoscope brands, such as Littmann, ThinkLab, Welch Allyn, ADC, and Eko Core. If you consider buying stethoscopes from Littmann quite expensive then you can always switch to other brands. 5. What are the top cardiology stethoscope brands? Cardiologists require stethoscope to check vital body signals, internal sound sensations in the body, like ejection sounds, murmurs, systolic clicks, and more. For this reason, cardiologists must purchase a stethoscope featuring a premium quality diaphragm and bell. These stethoscopes are generally expensive. Some of the best stethoscope brands for cardiologists are Littmann, MDF Instruments, Omron, Vorfreude, and Prestige Medical. Just make sure that being a cardiologist; you purchase the top-rated stethoscopes from these brands. 6. 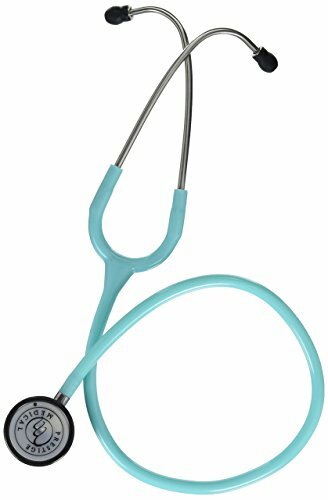 What are the best stethoscope brands for veterinary doctors? A. Prestige Medical, Ultrascope, Cardionics, MDF, and Littmann are considered the best brands for stethoscopes for veterinary doctors. They are involved in diagnosing and treating small animals. But at the same time, they need high precision at work. Hence, even a single tunable diaphragm would be able to deliver adequate results and premium functionality to the experts. You will definitely be able to get an excellent stethoscope from these brands within your preferred budget limit. 7. What are the best stethoscope brands for pediatrics? A. Using the best clinical devices to ensure your small patients are served in the best way is of utmost importance for pediatrics. A stethoscope for pediatrics is sustainable, effective, and basic health equipment essential to identify prognosis of the critical situation and numerous ailments. Littmann, ADC, MDF, Ultrascope, and Welch Allyn are the leading stethoscope brands for pediatrics worldwide. The stethoscopes from this brand would be the best adaption to your medical needs offering you with perfect acoustics when diagnosing young kids and babies. In essence, the stethoscope of a medical professional is an extension of their ears to identify the critical information required to precisely diagnose patients. The kind of stethoscope you need depends mainly on the medical specialization and practices of your role. Based on this you can consider other important attributed to select the best brand. Using our guidelines and comprehensive list, you can easily decide the type of stethoscope brand right for you. Gain more knowledge about the brand and know about its product line. This will help you narrow down your search and eventually discover the best stethoscope ideal for your profession and practice.